Hardwood flooring is a beautiful, classic choice. However, there are many reasons why a hardwood floor might not be the best fit for your home. Hardwood flooring is expensive. It doesn't stand up well to high traffic or pets. In any room with potential water damage - kitchens or bathrooms in particular - hardwood isn't a good match either. If you want the look of warm, inviting hardwood but have one of those issues - you should consider hardwood flooring alternatives. Two good options to consider when you want the look of hardwood but not actual hardwood are porcelain tile and resilient flooring. Let's take a closer look at each. Porcelain tile offers fantastic stain and water resistance. It's also extremely durable, resistant to staining and easy to clean. Even better? Porcelain tile comes in an amazing range of design options. You can choose a porcelain floor that looks like granite, limestone or other natural stone tiles. You can even find tile that looks like natural wood. Manufacturers are starting to really have fun with porcelain tile offering designs that look like leather, fabric and even animal prints - all with the durability and easy maintenance of tile. Resilient flooring carries all the benefits of vinyl flooring but with an appearance that can fool even the most discerning eye. 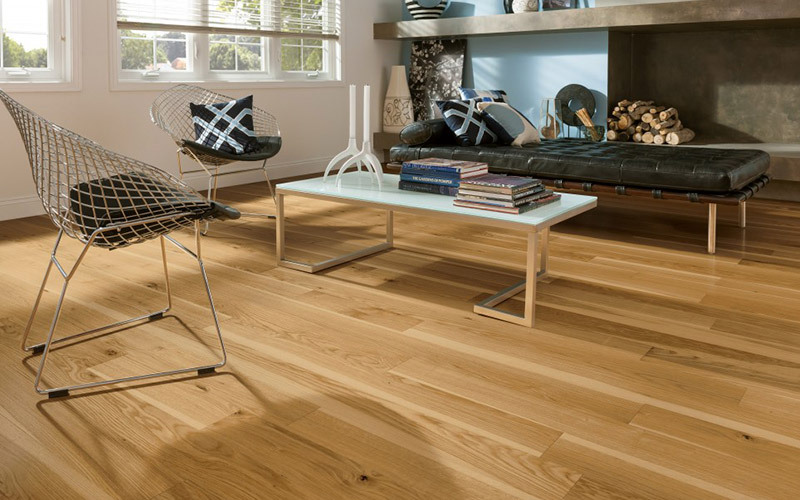 Extremely durable, easy to clean and waterproof, resilient flooring – or luxury vinyl – is the perfect way to add the look of wood to any room in your house. It’s particularly popular for basements, kitchens and bathrooms. Take resilient flooring one step further and choose waterproof composite flooring. Waterproof composite floors are made to look like wood, stone or ceramic but are able to be installed places those floors cannot. Designed with a locking technology that keeps liquids from seeping into and below the floor, waterproof composite flooring lets you pick any floor you love for any room in your home. Want to learn more about these versatile flooring choices? Stop by Kermans showroom on the northside of Indianapolis and let our free design staff help you narrow down your selection.